Lee Cooper KD férfi steppelt kabát The Mens Lee Cooper KD Quilted Jacket features a zip fastening front with a button fastening storm flap along with a lightweight insulated design for a warm and comfortable fit, completed with multiple pockets across the chest, a quilted design and the Lee Cooper b..
Quilted Jacket by Firetrap Blackseal > Jacket > Lightly quilted > Lightweight > Press stud fastened front > Fold over collar > Two zipped chest pockets > Two hand pockets > Tonal stitching > Lined > Firetrap Blackseal branding > Shell : 100% nylon> Body lining : 100% polyester> Sleeve lining : 100% ..
Firetrap Langton férfi dzseki This Firetrap Langton Jacket is crafted with full zip fastening and a high neck. 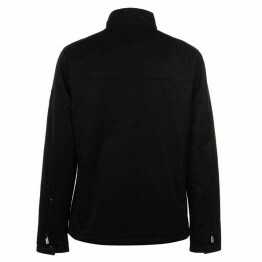 It features long sleeves as well as 3 zip fastening pockets. 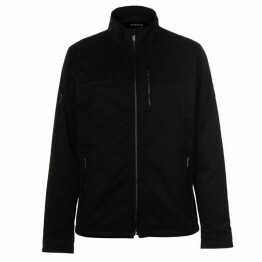 This jacket is a block colour with an embroidered logo and is complete with Firetrap branding.> Jacket> Full zip fastening> Hig..
Quilted Jacket by Firetrap Blackseal > Jacket > Lightly quilted > Lightweight > Press stud fastened front > Fold over collar > Two zipped chest pockets > Two hand pockets > Tonal stitching > Lined > Firetrap Blackseal branding > Shell : 100% nylon> Body lining : 100% polyester> Sleeve lining : 100.. 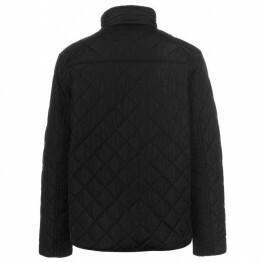 Fabric férfi kapucnis steppelt kabátThe Fabric Quilted Hooded Jacket has a full zip fastening, long sleeves with ribbed cuffs, a ribbed hem, a ribbed neck collar, hood with drawstring, with snap fastening pockets, two open pockets and an internal pocket. 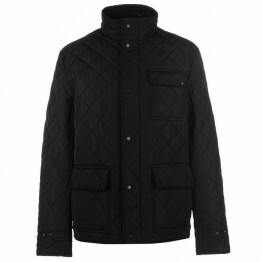 The jacket has a quilted design with Sherpa ..
Quilted Jacket by Firetrap Blackseal> Mens Jacket> Full zip fastening> 3 Zipped outer pockets> 1 Internal pocket> Zipped cuffs with button fastening> Round neck with button fastening> Firetrap Blackseal branding>100% Polyester> Machine washable ..
Firetrap Kingdom férfi kabát This stylish in this Firetrap Kingdom Jacket which is crafted with a quilted outer with tonal stitching for a look that can be dressed up or down. Its long sleeves feature press stud fastened wrist cuffs whilst the collar is styled with a tonal corduroy finish. Its ful..
Firetrap Kingdom férfi kabát This stylish in this Firetrap Kingdom Jacket which is crafted with a quilted outer with tonal stitching for a look that can be dressed up or down. Its long sleeves feature press stud fastened wrist cuffs whilst the collar is styled with a tonal corduroy finish. Its ..